A & A are a very friendly and approachable team of people. When small business owners ask me to tell them about a service which has helped our business improve productivity 10 fold, I always say that contracting A & A to provide Front Line Business Professionalism for our business, was one of the best and most cost effective decisions that I have ever made. The benefits were instant. 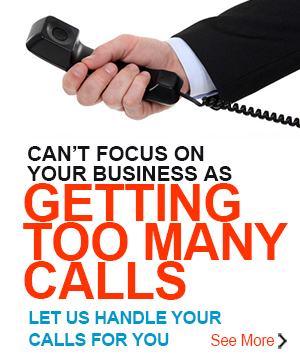 All calls are answered immediately, consistently and so professionally. Our staff can now plan not only their own work but also when they phone people back. Our team consciously choose to attend to calls according to Steven Covey’s 4 quadrants – Important and Urgent, Important and Not Urgent, etc. I have received so much good feedback about A & A’s service, including one of our long term packaging suppliers who visited our offices month after month trying to work out where the great receptionist sat! I highly recommend Amundson & Amundson. They are an excellent call centre provider and their team is exceptional. Thanks for this opportunity to share our Front Line Business Professionalism success story with you. PS: One more benefit I almost forgot to include. When we first started using Amundson & Amundson in February 2003 one of our staff was a full time customer service manager. This person left our firm in 2004 and we found we didn’t need to hire a new customer service manager because Amundson & Amundson were providing such an outstanding service that incorporated the tasks and skills required for this first level of customer service support role”. “We have more free time now that we have outsourced the handling of incoming phone calls to Amundson & Amundson. This allows us to give our customers better service and we also have more leisure time to spend with our friends and family. With Amundson & Amundson we have a reliable system that is always available. We can provide a professional service to our clients even in the middle of the night. This service allows our team to have freedom during on call duties. I like that we are not tied into a long term contract and have the freedom to cancel your service with five days notice at any time. We love this flexibility. Your service means we capture every call when we are busy with critical work. Your service is easy to use and the feedback you give us is very good. (Faxed phone reports daily.) I highly recommend Amundson & Amundson because they have highly trained and very professional staff that treat our clients and staff really well. ‘What I like about using Amundson & Amundson is that every phone call gets a real person who can help them. This means we don’t have to answer the phone ourselves if we are busy with customers. Probably 10% of incoming calls are during our opening and closing time. So using your services means we relieve the pressure on our staff. I highly recommend your services because of your polite trained staff and good communications.